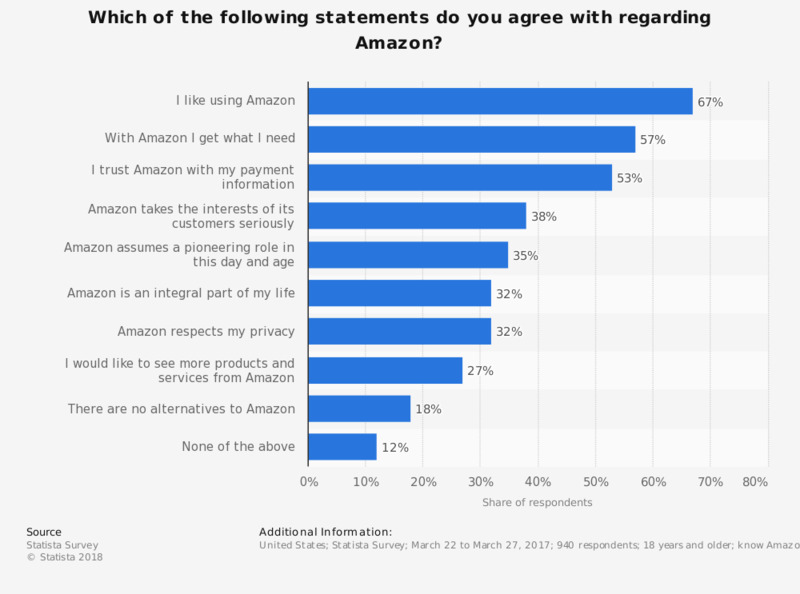 The statistic shows U.S. consumer opinions on Amazon in general as of March 2017. As of the Statista survey, 67 percent of survey respondents stated that they liked using Amazon. A third of respondents also stated that Amazon was an integral part of their life.